Dorothy Gale, along with her beloved dog Toto, finds herself whisked away by a tornado to the mysterious land of Oz. Something about this strange place feels oddly familiar, but Dorothy just wants to go home. Following the advice of a kindly Witch, Dorothy must travel to the Emerald City and seek out the Wizard of Oz, who alone has the power to send her back to her world. Alongside a trio of fascinating new companions, and a mysterious young man known as "Zero," Dorothy must follow the Yellow Brick Road on her journey to escape Oz and some of its less than friendly denizens, the evil Witches. Yet even though all this seems to be happening for the first time, Dorothy feels as if they have all met before.... Buried secrets and conflicted romance await Dorothy as she travels through the wonderful land of Oz! 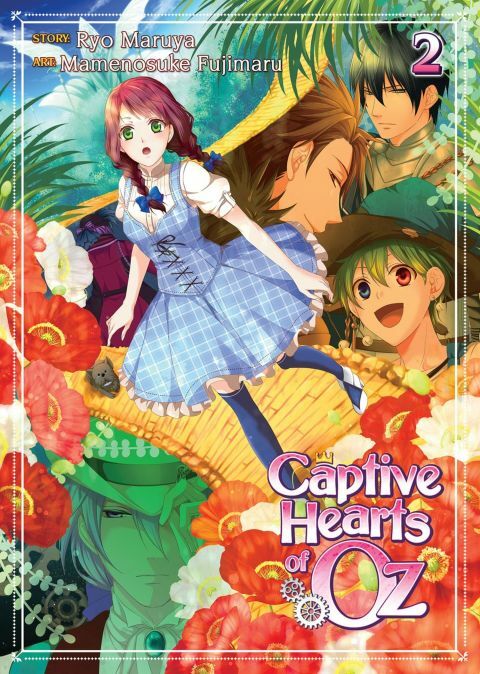 Other products for "Captive Hearts of Oz" in "Books"